It's time to admit that it's here to stay. Whether or not you know what blockchain is, you have probably heard of the seemingly mysterious cryptocurrency Bitcoin. Bitcoin and its underlying blockchain network are quietly making headlines around the globe. The recent success of Bitcoin and the security of blockchain may have some consumers considering an investment in the new denomination, but others are still wary. Newly released data further legitimizing the currency could be just the thing to push the undecided into the realm of Bitcoin proponents, however. In 2008, Bitcoin was introduced by an anonymous group of programmers under the name of Satoshi Nakamoto, and then it was released to the public as an open-source software in 2009. Unlike other online payment services like PayPal and Venmo, Bitcoin is a peer-to-peer network that takes place privately between two users — there is no intermediary involved. The virtual currency is completely decentralized from any external influence, and all transactions are accounted for through a blockchain ledger. While Bitcoin is thoroughly anonymous, all transactions on the blockchain ledger are available publicly. Using the time and date of a particular transaction, individuals could potentially match someone’s online address to their identity. However, all transactions made through Bitcoin are encrypted with military-grade cryptography, ensuring that the deals are secure. Sending and receiving bitcoins is already as easy as sending an email, and it’s poised to get even easier thanks to BitPay. Bitpay is a payment processing service that allows users to spend bitcoins within a larger network of merchants. 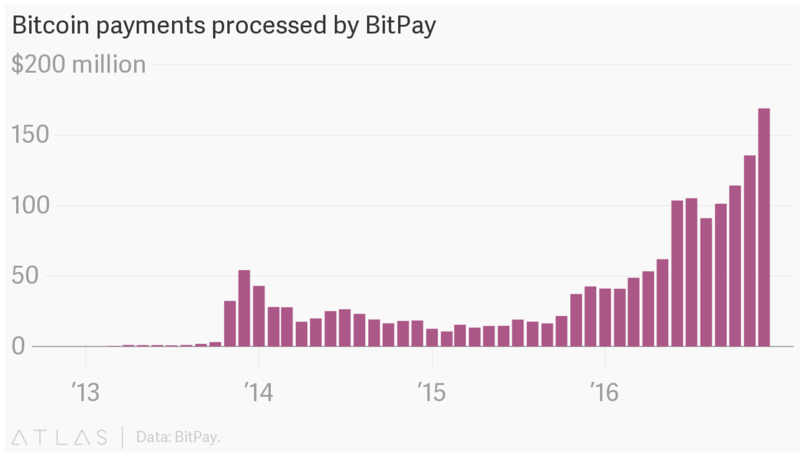 With Bitcoin’s unexpected rate of growth leading to longer delays in transactions and higher fees, Bitpay developers were pushed to accommodate the sudden popularity of Bitcoin. “This friction is making us get more creative in how we do user experience design for delayed payment states on the BitPay platform,” co-founder Stephen Pair explained at the Distributed: Markets 2017 conference. “Our designers and engineers are constantly attuned to how we can make using Bitcoin intuitive,” he added. The frequent updates appear to be paying off as the company recently released a series of charts revealing a positive trend in Bitcoin usage. 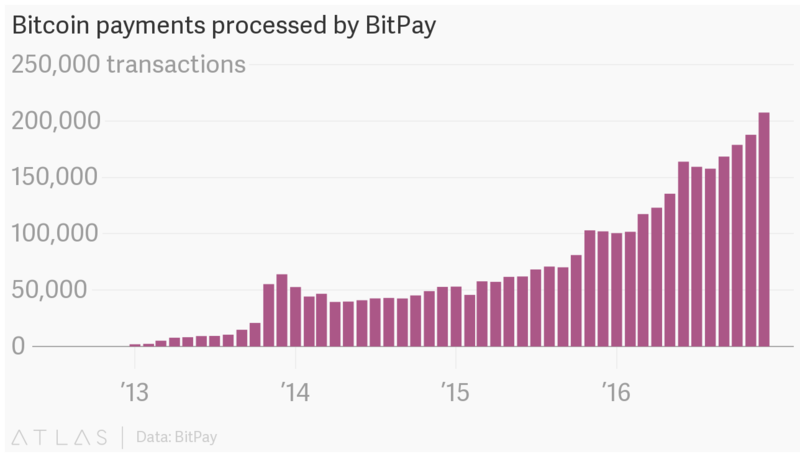 The data shows a significant increase in the number of Bitcoin payments being processed daily and in the value of the payments being processed. Experts attribute this to the “wealth effect.” Essentially, people who bought Bitcoin when it was significantly cheaper want to spend it now that the value is high. The trend also affects what people are buying with bitcoins. 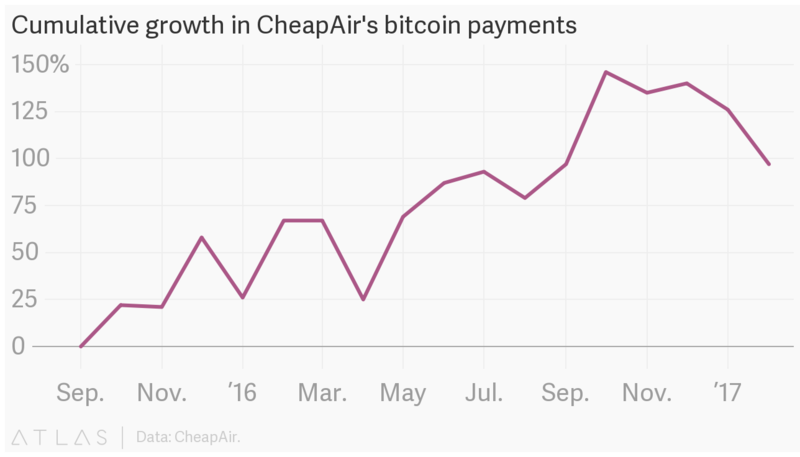 Bitpay merchant CheapAir, a site that sells plane tickets, hotel reservations, and car rentals, has noticed a higher upper limit in the spending of their Bitcoin customers. 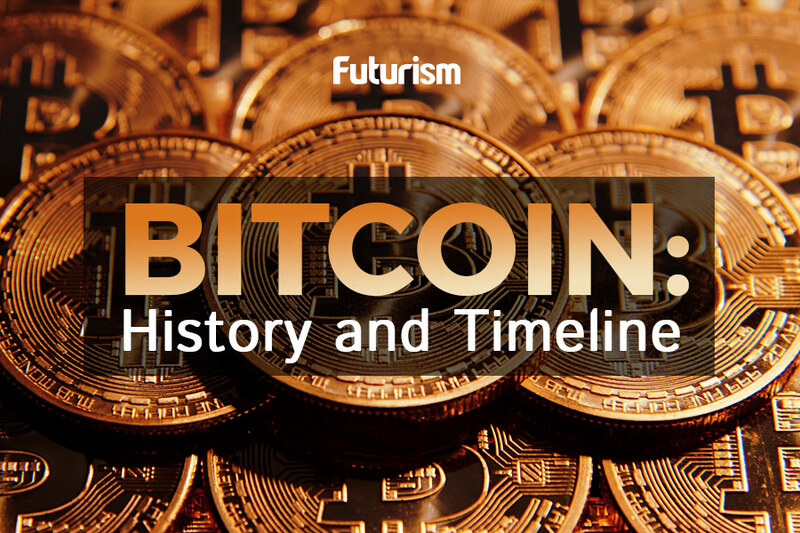 This increased movement of bitcoins from consumers to companies highlights an important moment in the history of the cryptocurrency. While people initially saw bitcoins as something they could hoard, they’re now seeing them as something to spend.“Bitcoin [is being used] as a store of value, as a currency hedge, and as a payment method for economies without widespread credit card or banking access,” James Walpole, BitPay’s marketing manager, told Quartz. If these trends continue, the increased acceptance of the cryptocurrency as an alternative payment method might be enough to push it all the way into the mainstream.